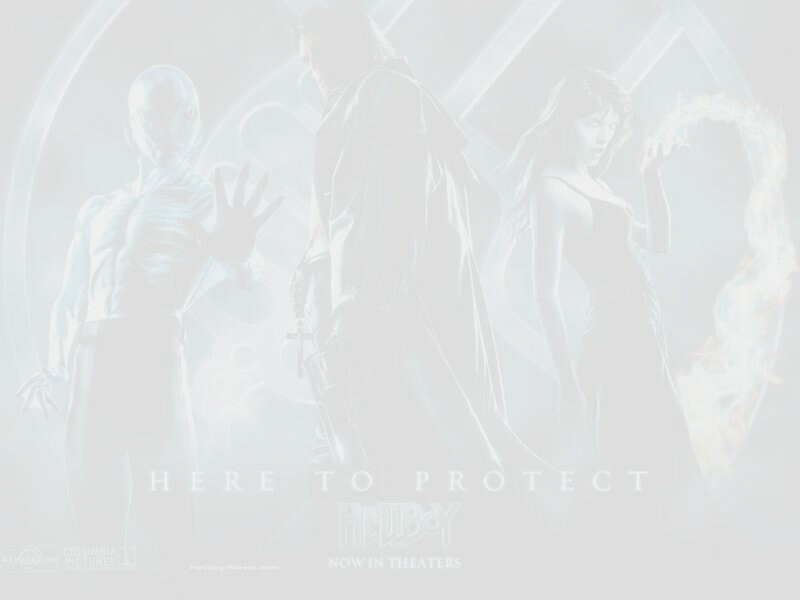 With Trevor Broom and Hellboy out of the picture, the Bureau for Paranormal Research and Defense became an organization in name only. The people that ran and staffed it were just typical FBI agents who had little knowledge of what they were about. The agent who at the time was the head of FBI special operations became the director of this puppet organization within the FBI. Everything went along just fine as long as what they were dealing with could be tracked in the usual ways and killed in the usual manner. However, by September of 1950 what was going on in Argentina had escalated to a point that left this ill-equipped organization floundering. Agents sent to Argentina starting disappearing, especially in the mountains and hills of Córdoba. The epicenter of the phenomenon seemed to be the German enclave of La Falda, especially concentrating around a resort called the Eden Hotel. The few agents who did manage to get out of Argentina and return to the United States reported encountering Nazi soldiers who appeared to be totally invincible to weapons. Especially strange was the fact that if they were shot they did not bleed; they just dribbled a little sand out of their wounds and seemed little the worse for losing this weird ‘blood’. Agents who got lost in the mountains, at least according to the handful who managed to escape, were literally be-deviled by odd creatures of the night that appeared to be enamored of eating human flesh. There were also sightings of an Adolf Hitler who was very much alive. Things became desperate in October of 1950. Trevor Broom had heard of a lot of this through his continuing association with Lee, who was still connected with what was left of the BPRD. However, his role as liaison was much reduced since the connection between the FBI and its puppet organization was so close as to seldom necessitate someone in his role. Trevor Broom, in his younger years, had sworn on his fiancée’s grave to spend his life protecting others. But at this point in time, Broom felt that his primary responsibility to this past vow was in his continuing struggle to protect Hellboy against those who would attempt to have him destroyed or limit his rights in other unreasonable ways. At the time of the phone call from the new director, Broom and Hellboy were making plans to leave for Europe. The secret panel within the International Court of Justice, which was considering the case of Hellboy’s status, had finally asked Broom to bring Hellboy to meet them. Broom begged permission from President Truman to take Hellboy from the United States to The Hague, Netherlands where the court convened. He also forked out money to purchase Hellboy a suit of clothes to wear that would be less homemade looking than his usual garb and hoped that he wouldn’t outgrow it before returning to the United States. While they were there Broom made an impassioned plea for the court to accord a status to Hellboy that would put him legally on an equal footing with any human. Hellboy then addressed the court panel himself and some attendant there were impressed both with his manner of speaking and the evidence of a strong bond of affection between him and the man he considered his father. The panel then entered into a debate, assisted by an interpreter for those whose knowledge of English was not sufficient for communication with Broom and Hellboy. Unfortunately, as Trevor Broom had earlier predicted, things were not going to be easy for Hellboy. Not everyone on the panel could get beyond his superficially hellish appearance. There were others who though sympathetic toward his plight either forgot, or were unaware, that he was not yet six years old—despite his recently acquired adult size. The members of the panel, both for and against Hellboy, started to barrage him with questions about his origins. At one point he finally lost his temper and shouted, “Jesus! If I did know who my ‘real’ parents are, or where I came from before I showed up in Scotland, I would've told somebody a long time ago. It would've saved my father a lot of trouble.” Being confronted by what looked to be a furiously angry demon gesticulating at them disconcerted many on the panel. What Trevor Broom noticed was that Hellboy gesticulated with his left hand and had kept his troublesome right hand firmly unmoving at his side. After this minor explosion, Hellboy collapsed back down in his seat trying not to cry. He hated when he lost his temper like that; he hated being on the brink of tears. At first there was a shocked silence, then several members of the panel started talking all at once. Hellboy got back up from his seat. “Sorry. I’m sorry. I shouldn’t yell like that. I just don’t know any of these things.” He turned toward Broom. “Sorry, Father.” Hellboy sat back down. This all happened so fast that Broom hardly had time to react before a less-than-sympathetic member of the panel stood up to address the other members. “I do not see that this is getting us anywhere. I especially do not see the purpose of this court even considering giving any kind of status to an alien creature regardless of what its origins are. It is his affair, not ours, if Professor Broom wishes to anthropomorphize this creature and teach it to mimic human behavior. Our only consideration here in this court is the application and development of international law in support of human rights. By this very definition these rights do not adhere to this creature sitting before us.” He sat back down. Trevor Broom again stood up to address the panel. He walked over to where Hellboy was seated and placed a hand on his shoulder. Hellboy stood and walked up to the panel member who had just addressed him. He held his left hand out to him, which the panel member grasped in his own. The man who he was speaking with looked closely at Hellboy, who was almost six feet tall. Hellboy spoke to this sympathetic member as if they were involved in a private conversation instead of being in a room full of other people. For some strange reason Hellboy expressed things to this man that he had never been able to share with anyone, not even Trevor Broom. All of the people in the room listened in an amazed silence. Even the members who had been unsympathetic to Hellboy earlier were moved by this heart-felt confession of a child who realizes that he is a misfit in the only world he really knows. Hellboy swung around to stare at his father. Trevor Broom never shouted at him and he almost never called him ‘Hellboy’. “How dare you?” Broom continued, “How dare you even think that I would be better off without you? You don’t know what my life was like before you came into it. It was empty and I was alone, always alone.” Broom sat back down and tried to regain his composure. While Broom had been completing this impassioned speech he walked over to where Hellboy was standing as if rooted in place. He was looking at his father, who was now at least an inch shorter than he was, as if he had never seen him before. This was eventually to be one of Trevor Bruttenholm’s greatest triumphs. The panel after months of further debate made a unanimous recommendation to the United Nations on behalf of Hellboy. The United Nations finally issued a decree in January of 1952 declaring Hellboy of honorary human status and granting all rights to him that would pertain to this status.